Michael Whittaker is a unique hybrid of his diverse upbringing. Growing up in Los Angeles California, he grew up listening to a diverse culture of music. At a young age, his training on piano began in both jazz and classical music. By his early twenties, he had already begun to mold his own identifiable sound and was one of Los Angeles’ most sought after sidemen. After attending UCLA’s school of music and majoring in film scoring, Michael has utilized his classical training and knowledge of orchestration to compose over 300 television episodes and TV movies including the popular Power Rangers. Currently Michael is independently scoring and producing for companies like Disney, Sony, NBC and Lions Gate Films. In 2011 his theme was chosen as the main theme of the new Disney Family Movies channel. His orchestration and keyboard skill have won many awards such as the Telly award for his score to the Teenage Mutant Ninja Turtles series, Bank of America Musical Achievement award, International Association of Jazz Educators player excellence award, and the Clarence Brown Memorial scholarship for jazz. Michael’s experience in many styles, has allowed him to work with many notable artists including Lionel Richie, Jimmy Kimmel Live house band, Paulina Rubio, Wayman Tisdale, Lionel Richie, 98 Degrees, Cake, Boyd Tinsley from the Dave Mathews Band, Brenda Russell, and many others… Notable shows Michael’s music is featured in are Americas Next Top Model, Funniest Pets and Animals, A&E Toby Keith Documentary, Battleground Earth Best Damn Sports, Biography of Tiger Woods, Dr 90210, Gene Simmons Family, Leprechaun 6, Modern Marvels, Naruto Movie, Xyber 9 New Dawn, Access Hollywood, X Men Marvel Cartoon, The New Addams Family, The Power Rangers, The Ninja Turtles, Americas Most Wanted, Action Man and Nobel Peace Awards 2000 theme. 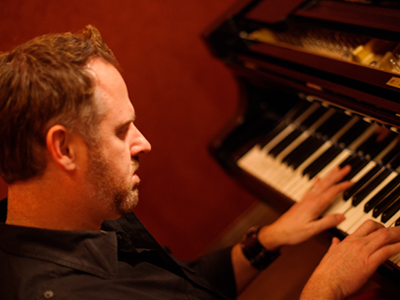 Now home in Nashville TN, Michael works both as composer/producer and Music Director at the Oasis Church, in Nashville. His newest project to be released soon is called “Southern Exposure”. It is a humanitarian effort from some of the top musicians in Nashville to raise money to bring clean water to impoverished areas of Africa.